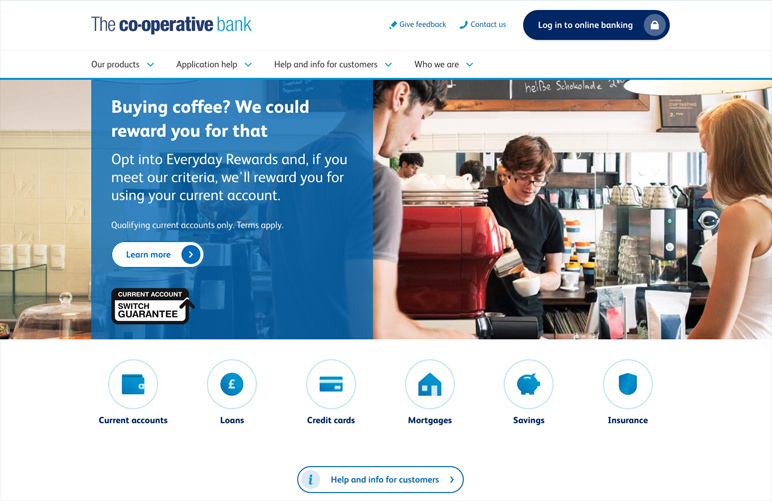 The Co-operative Bank wanted to put people at the heart of the bank’s digital experiences in their new and ambitious digital-first strategy. 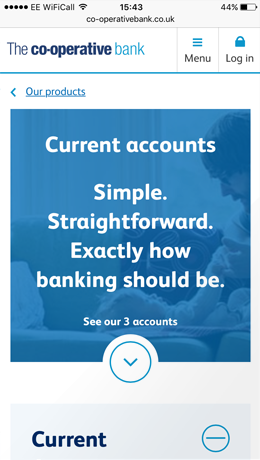 In doing so they wanted to evolve its online proposition in order to increase customer satisfaction, retain current account customers, drive new account openings and boost uptake of lending and borrowing products. 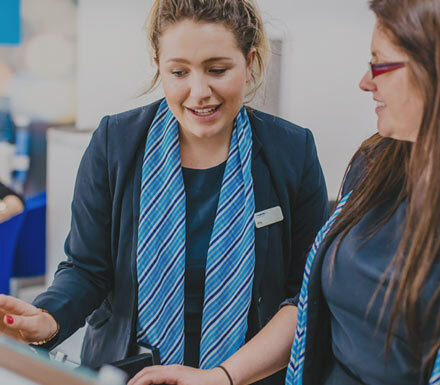 However, people find it hard to trust banks, so by combining our understanding of customer needs with The Co-operative Bank’s ethical values, we helped to build trust alongside solid commercial results. We always involve people in the design process and this project was no different. 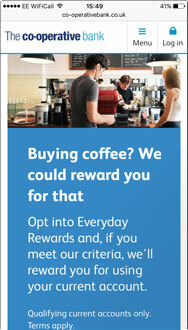 We started by talking to front-line staff, those in the call centre and in branches. These people are ideally placed to pick up on customer wants and needs - especially at those critical moments when the relationship is at risk of breaking down. We set out to find out which behaviours and attitudes mattered most to customers. From this work emerged the key learnings that informed the rest of the work. Firstly, we identified the three things that mattered most to customers in building trust with their bank. They were: transparency, reassurance and simplicity. Banking can sometimes feel complex so by applying these principles, a bank can build trust with its customers. Secondly, we identified the three things customers wanted more of. They were: proactivity, personalisation and conversation. 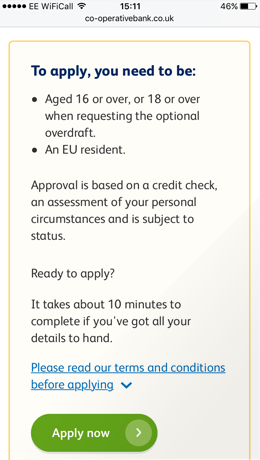 Customers valued relevant and personal online banking and wanted the bank to act in their interests. We took the key learnings from brand workshops we’d run and combined them with design themes that came out of customer research. This created a customer-centric design system with a focus on clarity. This gave us the building blocks from which to build the final designs. We then started sketching and building lo-fidelity prototypes, validating each with customers. The exclamation mark is useful, they let you know when you will be charged. Definitions are very helpful, explains all the financial jargon. It was easy, straightforward, not long winded. cxpartners worked with us to create a bespoke, flexible design process. This engaged the Bank’s various functions at the right time, before committing to detailed design. An organisation's Net Promoter Score (NPS) typically drops by 15 points on the release of a new site as customers become familiar with new journeys. However, for The Co-operative Bank the NPS score revealed a 5.9 point increase in satisfaction, giving a near 21 point increase above expectation. 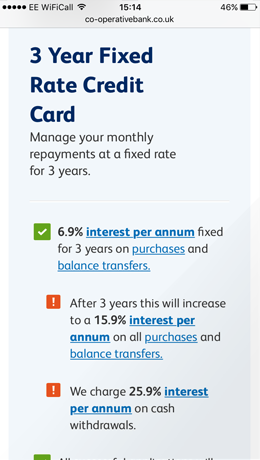 Current account page visits from the home page have grown by 325% per week since launch, and overall visits to the current account page have increased by 88% – supporting the key business goal of driving account openings. In line with the goal to drive lending and borrowing products, credit card page visits from the home page have increased by 149%. Strikingly, some credit card applications have risen by as much as 90%. All product links have attracted significantly more clicks, and successful application journeys have increased. Channel specific increases have occurred, particularly through the mobile channel which shows a 4% increase in traffic since launch. Overall, bounce rate has improved, especially for tablet and phone, as has exit rate. The Co-operative Bank and cxpartners were joint winners of Team of the Year ‘Loving your Customer’ award at the UK Financial Services Experience Awards 2016. This truly collaborative research, insight and design project met the aims set out from the start. We’ve had fantastic feedback on the design from our customers and business for whom this project will provide ongoing value - testament to a well-run project that has been a great experience.